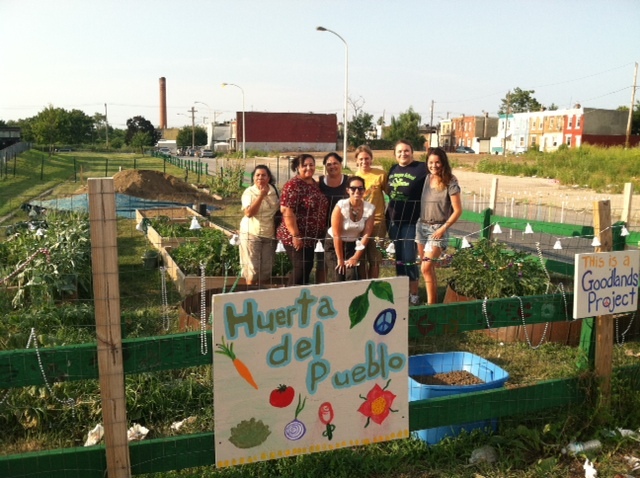 The community garden on American Street between Somerset and Cambria is a project of Congreso de Latinos Unidos, a social service organization in North Philly. 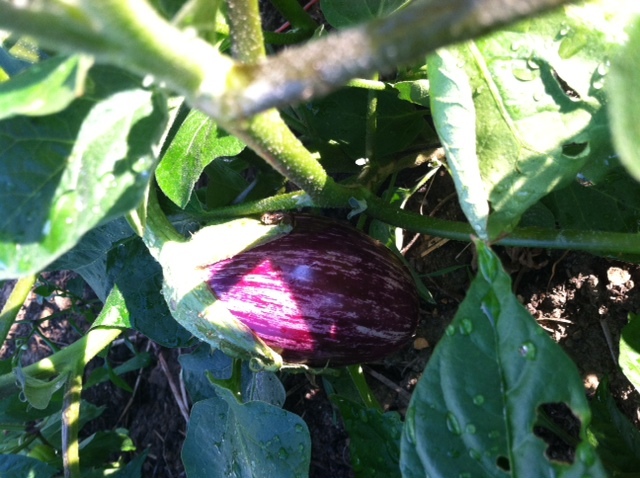 The garden is called “La Huerta del Pueblo,” which means, loosely translated, community garden. It was established a year ago on city-owned land, and has gone from being a trash-strewn eyesore to blooming with flowers and food crops. Judith Ferguson leads the volunteer committee that runs the garden, along with Marian Dalke, a number of community members, and Congreso’s Senior Vice President, Dario Bellot. They’re using the garden as a community gathering place and an educational tool, bringing in kids from various after-school programs and from Congreso’s K-8 Pan American Charter School. “The focus for the students is healthy eating, life skills, teambuilding, and art education,” said Ferguson. There are 7 raised beds for growing vegetables, and 5 flower beds. They’re fundraising to expand the garden so more community members will be able to get plots, and they want to add picnic tables and benches. This season, the group is growing kale, garlic, collard greens, eggplants, lettuce, cucumbers, various types of peppers and tomatoes, and a variety of flowers. “We are particularly proud of our hollyhock flowers, which can be seen from the street and really make our garden look beautiful,” Ferguson added. Water for the garden comes from rain barrels and buckets, and supplies have been donated by City Harvest and Greensgrow, among others. If you go, check out their diabetes workshop, to be held in the garden on Thursday, August 22nd at 4 PM. 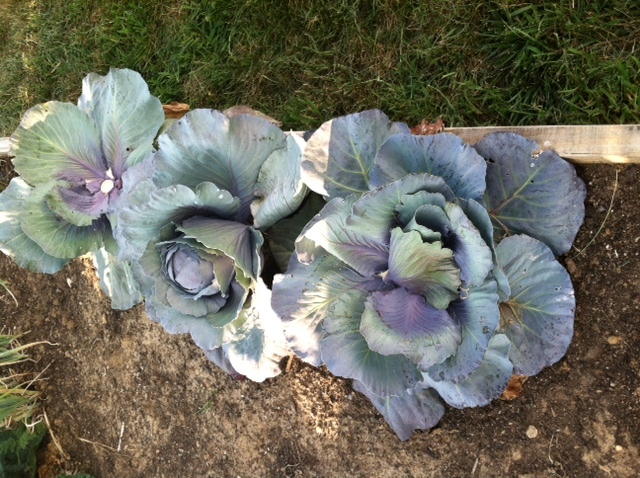 They’ll talk about diabetes prevention, and make a salad from veggies harvested from the garden.